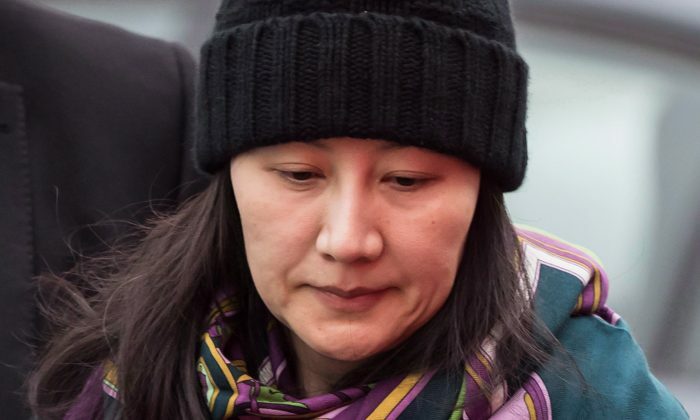 TORONTO—Canada has given the go-ahead for a hearing to determine whether Huawei CFO Meng Wanzhou should be extradited to the United States. The Department of Justice Canada officials issued an Authority to Proceed, which formally begins the extradition process in Meng’s case in Canada. The department said in a news release that they are satisfied that the requirements set out by the Extradition Act have been met. Washington submitted a formal extradition request at the end of January. Meng was arrested in Vancouver at the request of the United States in December 2018. In a 13-count indictment, U.S. attorneys accuse Meng, Huawei, and several of the company’s subsidiaries of violating sanctions against Iran. Meng herself is charged with bank fraud, wire fraud, and conspiracy to commit bank and wire fraud. The U.S. Department of Justice alleges that, since 2007, Chinese telecom giant Huawei misled global banks and U.S. authorities about the company’s relationship with Hong Kong-based Skycom Tech. Prosecutors allege that Skycom conducted business in Iran on behalf of Huawei. Huawei maintains that they are two independent companies. U.S. authorities also allege that Meng herself was personally involved in concealing the true nature of the Huawei-Skycom relationship. At Meng’s extradition hearing, a judge will determine if the evidence provided by the United States describes conduct that, had it occurred in Canada, would have justified a trial in Canada. The hearing itself is not a trial. If Meng is extradited, she will face a trial in the United States. Evidence filed will become part of the public record. Meng is scheduled to appear in court on March 6 to set a date for the extradition hearing.